Snacking doesn’t have to be bad for you – healthy options are available. If you eat a well-balanced nutritious diet and regular meals, the odd snack is not a problem. 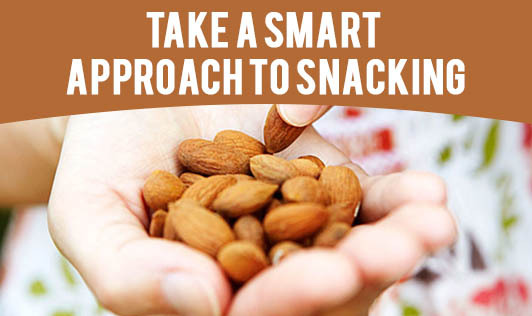 Here are some tips for healthy snacking. Eat regular meals. Going hungry makes you more likely to be tempted by extra snacks. Plan your snacks. Write a shopping list and avoid grocery visits when you’re hungry. Those snack food displays at the checkout counter can be hard to resist. Carry healthy snacks with you. Prepare snacks in advance and go for maximum variety to avoid boredom. Stock healthy snacks in your fridge and pantry. Suggestions include yoghurt, vegetable dips, wholemeal or rice crispbreads and air-popped popcorn. Resist buying junk food. Potato chips, sweet biscuits and chocolate are high in salt, fat and kilojoules. Make them occasional treats, not everyday foods. Make your own. Enjoy preparing and eating your own snacks using fresh ingredients. Experiment with new recipes to replace your favourite snack foods with healthy homemade alternatives. Keep a stocked fruit bowl and put it in plain sight. You’re more likely to snack on healthy options if they’re on hand. Limit your consumption of ‘health bars’ and fruit juices. Don’t be fooled by the advertising – processed muesli, breakfast or energy bars and juices are typically high in salt, fat or sugar. Think portion control. If you really want some of your favourite junk food, read the label and stick to one serve. Don’t eat the whole packet! Don’t skip breakfast. People who avoid breakfast tend to nibble on snacks during the mid-morning, which can be a problem if those snacks are junk foods.